As a manager or executive of your company, you’re extremely busy. Not only do you have to oversee day to day tasks, but you have to strategize for the big picture or the set company goal. That goal could be to delegate tasks to your team to create new IT software, it can be taking on some of those tasks yourself, or/and it can involve IT sales recruitment. You have an excellent product, your marketing strategy for the product is strong, but you are lacking that face to face point of contact you can rely on. So, what do you do? 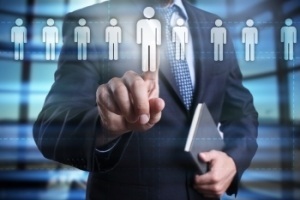 You look for a qualified IT sales rep, but how do you know you can count on them? How do you know their track record is really what they claim it to be? Here at New Way Search Partners, we have been helping companies and our clients with IT sales recruitment for years. The benefits of going through our firm for your recruitment process is time saved, peace of mind and knowing that we will screen potential candidates to the fullest and only recommend the candidates we feel meet your unique needs. The number one benefit you get out of an IT Sales recruitment firm is that we take out the guess work. You no longer have to worry if your new employee is the right fit, because we have already interviewed and screened them for their qualifications and assessed which company or position they would best fit. At New Way Search Partners, we establish relationships with our clients for long term benefits. In doing so, we better understand the client and their needs, so whenever it’s time for them to fill a vacancy or expand, we know what they are looking for in their next employee. Building these types of relationships helps you and your company as well as us, by expediting the process without losing the comprehensive methods we use when it comes to choosing the right candidate. Your time is one of the most valuable assets you have and it is also the scarcest. When you have deadlines to think about and multiple projects going on at once, every minute you have to dedicate to your daily duties is a plus. However, those duties may include hiring new employees on top of your ever-growing list of things to accomplish. So, call New Way Search Partners today and let us take up the responsibilities of the time-consuming task of IT sales recruitment. Don’t waste your time holding interview after interview trying to find the right pieces to the puzzle and call us today at 888-386-3250 and let us take the worry out of finding the best employee for the position.